Amazon.com, Inc. (AMZN): Is It Pulling An Apple Inc. (AAPL)? Amazon.com, Inc. (NASDAQ:AMZN) has certainly been a darling of many investors as well as customers over the last few years, thank to exploding growth and solid revenues despite pretty tight margins. For a while there, CEO Jeff Bezos could do no wrong. The company was so charmed in fact, that while Apple Inc. (NASDAQ:AAPL) set an all-time revenue record in the December quarter and the stock was tanking, Bezos’ company missed analysts’ estimates and saw its profit get slashed, yet the stock rose for a couple days afterward. Maybe the run is over. 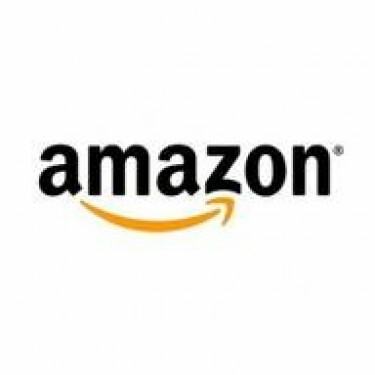 This last quarterly report that came out Thursday revealed that Amazon.com, Inc. (NASDAQ:AMZN) has seen its margins expand and it had rater ratings, but revenue dropped. So with two quarterly reports in a row that exposed some caution flags, there is some talk that perhaps Amazon.com could be becoming the next Apple Inc. (NASDAQ:AAPL) – moving from a high-growth stock to a growth-as-value stock. That perhaps it’s possible that double-digit growth for Amazon.com just might be over. While margins are growing, analysts and investors seem o have some real concern about the revenue and sales growth decelerating quicker than anticipated. This sounds familiar, doesn’t it? It was not long ago when Apple Inc. (NASDAQ:AAPL) was getting hammered for its numbers and many were lamenting whether Apple stock would start to be like Microsoft Corporation (NASDAQ:MSFT) – a nice, steady, value blue-chip stock and company. That is a very noble idea, but there is one big difference here that might be something to consider. Amazon.com, Inc. (NASDAQ:AMZN) is deemed to have a very high valuation, trading currently at about 20 times earnings, which is 33 percent higher than the average of the S&P 500, which is about 15 times earnings. On the other side of the coin, Apple Inc. (NASDAQ:AAPL) is currently trading at about nine times earnings. So with evidence that these two companies are in similar territory but one is perceived as overvalued and the other could be undervalued. What are your thoughts about Amazon.com, Inc. (NASDAQ:AMZN)? Do you think it’s overvalued at this point? Where do you think the stock will go from here after the last two quarterly reports? Is Amazon.com still a growth stock in your view? Let us know in the comments section below.